Janine Small grew up in Vermont, spending childhood summers catching blue gills and bass on Lake Bomoseen, the largest lake within Vermont’s borders. Her first fishing mentor was her father, Donnie, who has been an avid fisherman and duck hunter for most of his life. When most girls her age were playing with dolls, Janine was learning how to shoot guns and catch fish. Donnie introduced Janine to fly fishing when she was a teenager, and as a young woman she joined the Green Mountain Fly Tyers club in Rutland, Vermont. In the Fly Tyers club, she met some of the finest fishermen in the region, who took her under their wings and helped her build a solid foundation of fly fishing skills. While in college, Janine combined her passion for fly fishing with her social work career by volunteering for many years teaching breast cancer survivors how to fly fish through a non-profit organization called Casting for Recovery. Janine continued to combine her love of the outdoors with her social work career by developing a variety of outdoor retreats for a local women’s cancer survivor support group. She facilitated the group for eight years as a clinical social worker at the local hospital. Throughout the years, Janine has continued to improve her fly fishing and casting skills by learning from exceptionally talented mentors, including the world-renowned woman fly fishing pioneer, Joan Wulff. 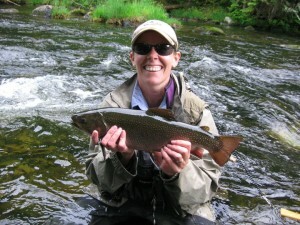 In 2011, Janine created the Women’s Fly Fishing Institute. The Institute offers educational programs and fishing trips to women of all ages and ability levels with the goal of not only introducing women to the sport of fly fishing, but helping them advance their skills. Janine has a Master’s degree in Social Work from SUNY-Albany and is a clinical social worker at Rutland Regional Medical Center. She is a licensed New York state fishing guide with first aid certifications, has been featured on New Hampshire public television, and has instructed for Orvis and the Vermont Fish and Wildlife Department’s Becoming an Outdoors Woman program. 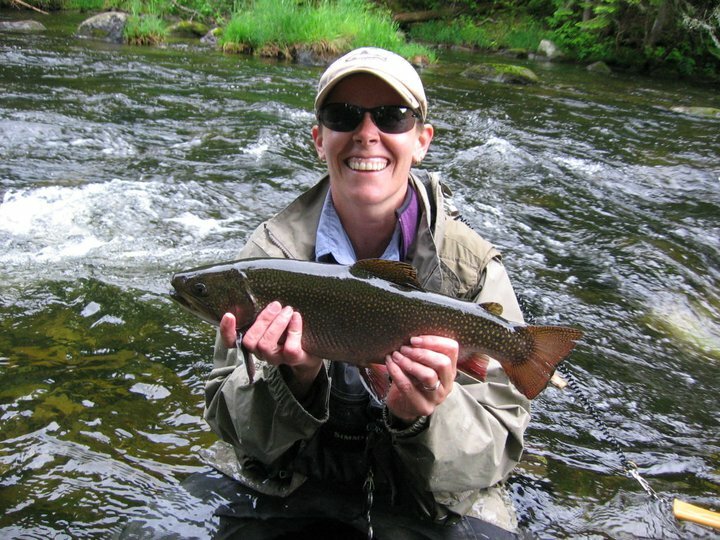 Janine is a member of a number of fishing and outdoor organizations, such as the Federation of Fly Fishers (life member), Trout Unlimited, Vermont Outdoor Guides Association, and the International Women Fly Fishers.